Barbacoa: the Texan and Mexican delicacy that made Elizabeth Taylor faint into the arms of Rock Hudson; the food that gave barbecue its name ("barbecue" is the English word for barbacoa); the meat treat that has been traditionally prepared in in-ground brick-lined pits wrapped in maguey, burlap, or heavy-duty aluminum foil; the dish that Texas Monthly’s food critic declared was not barbecue. It’s a treasured food that requires patience to cook and inspires patience to buy. People line up first thing to get their weekend supply of meat at their favorite barbacoa spot, often the place their family has patronized for generations. In Texas, it’s usually made from cheek or whole beef head. But it can be made with anything: rabbit, turkey, goat, whatever. If you're craving it in the Dallas area, start with these essentials, in no particular order. If this East Dallas barbecue joint seems to be stuck in the mid-20th century (what with its wagon-wheel dining room partitions and cafeteria-style ordering system), it’s because it is. Monterrey BBQ was once Raymond’s Bar-B-Que Cafeteria. Here, in contrast to the chopped brisket, the barbacoa is soft, juicy without being greasy, and beefy without being gamey. There is no need to choke it down. The handmade corn tortilla, hot and bumpy from its time on a flattop griddle, only improves the meat. The grounded, touched-with-smoke salsa de chile pasilla evokes the beginnings of barbacoa in Latin America. It’s pretty much heaven. The Design District stalwart serves solid breakfast and lunch tacos, like the carnitas and the barbacoa, all of which come in handmade tortillas. 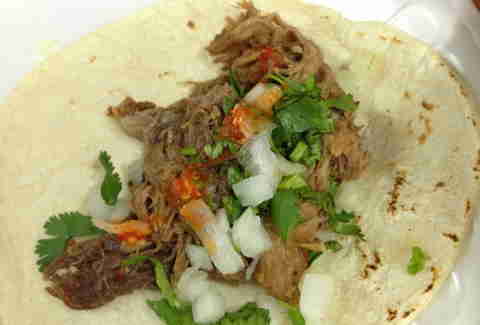 The barbacoa is a mild beef spruced up by a zesty pico de gallo and red or orange salsas on the side. If you’re curious about what chiles are in the latter condiment option, you’ll stay that way. The taqueros won’t even tell owner Emilia Flores what they are. In case you need reminding that barbacoa is barbecue. The barbacoa de borrego at Barbacoa Agave #2 is a smoky sucker-punch of lamb in a handmade corn tortilla. 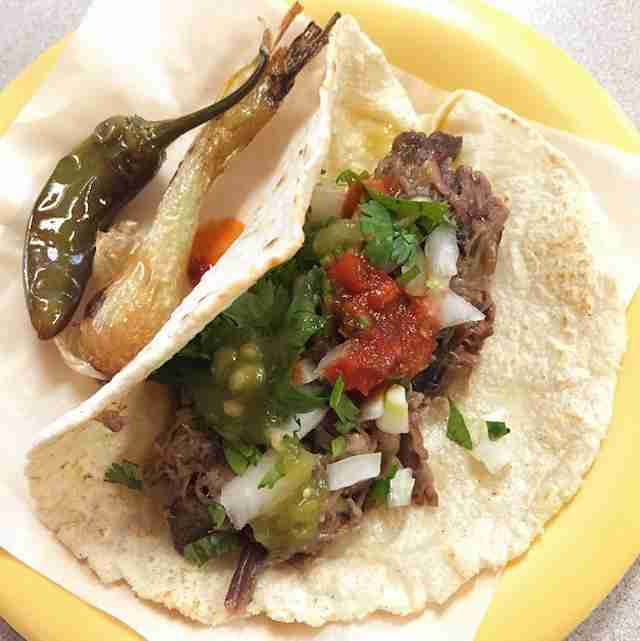 Available as a $2 taco on weekends only, the barbacoa is the taco to get here. Skip everything else. And be warned -- while Barbacoa Agave #2 accepts payment by debit and credit card, the restaurant (which sits across from Maria Luna Park in what was once the Little Mexico neighborhood), will only take cash in denominations of $5 and $10. At this Oak Cliff stalwart, the Torres family from Sinaloa state prepares their barbacoa with a batch of red chiles and spices that give the dish a red-orange veneer, with a flavor equally earthy. Order at the front counter and request the handmade flour tortilla -- it's about the size of an adult hand and almost transparent in spots, typical of the Sinaloa. Go to town on the condiment bar with raw onion, pickled onion, cilantro, and salsa that ranges from soothing to sore-throat-executioner. In Mexican markets, tortillerias, and bakeries across the state, people in their Sunday finery line up early for their orders of by-the-pound Sunday beef barbacoa with tortillas and all the fixings. 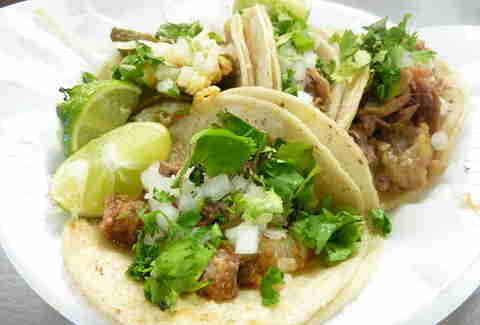 Get a pack of fresh corn tortillas from Tortilleria La Nueva Puntada, less than two miles away. They’re kept in the warmer by the front cash register. While there are tables and a counter at La Guadalupana, take your bounty home, where it will be barbacoa for breakfast, the traditional method of enjoying dish. The mod taqueria cooks barbacoa -- here beef shoulder -- in six quick hours in a tilt skillet (a commercial, stand-alone braising pan) with a familiar base of seasonings -- onions, carrots, celery, garlic, bay leaf -- finished with a heap of chipotle peppers, powder, and Dos Equis Amber to tenderize the meat. Servings come in taco form with a fresh tortilla made from nixtamalized corn, the old-fashioned way, but with a smooth texture. The barbacoa tacos at Urban Taco make for a great entry point for those interested in exploring traditional Mexican food without well-intentioned knee-jerk reactions. A simple tortilleria north of Bachman Lake, La Nueva Fresh & Hot is a sister venture to La Nueva Puntada. Fresh & Hot’s owner Gloria Vasquez is the sister of the owners of Puntada. The small shop is mainly a tortilla factory with a rickety, creaking machine that spits out some of the Big D’s best tortillas. Barbacoa comes in beef cheek, cow tongue, and borrego. Go for the latter for a smooth, gamey snack of stringy lamb. The tongue is a textured filling with a grounded taste, and the cheek, well, try not to guzzle the luscious stuff. 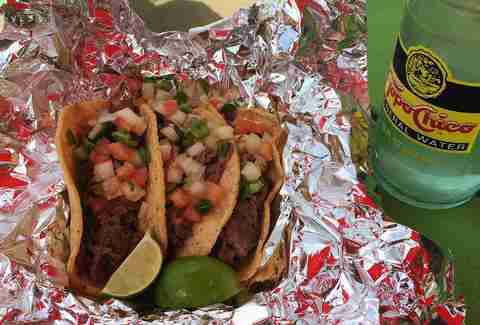 Sometimes one needs compact wallops of slick beef from the most famous taqueria hidden in plain sight. And best on a weekend morning when regrettable memory-coating greasy eats makes living bearable. Cool & Hot, a converted gas station with an attached car wash on 8th St above I-35 awash in blue and yellow with silly representations of their menu, is just the place for it. 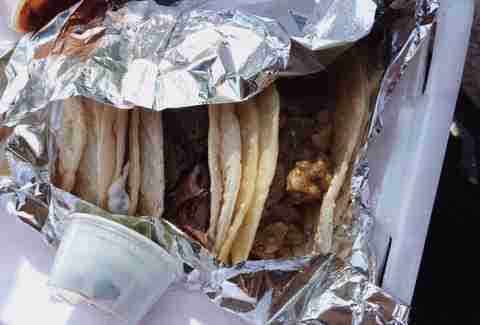 Find solace in the tiny, spongy flour tortillas scarfed in the covered eating area. 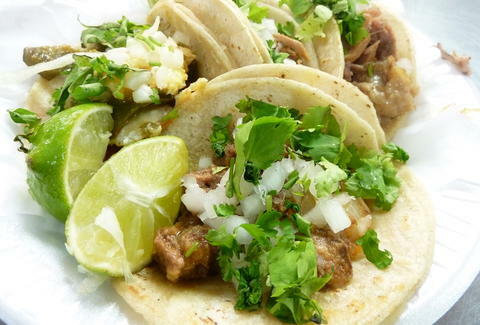 Run by a husband-and-wife team, the lonchera (Spanish for lunch truck or taco truck) parks weekends at the West Dallas Gateway plaza in front of the pedestrian-only Continental Avenue Bridge at the eastern end of Trinity Groves. It offers a standard array of taco options, but it is Burrito Time’s barbacoa that deserves attention. Soft and slightly wet, but not enough to require slurping, the hot beef hits just the right spot after time on the bridge or the Trinity River bike trails below. 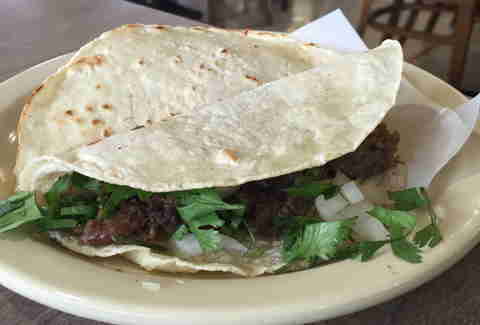 Tucked away on a back road in the Lake June section of South Dallas at the edge of the Great Trinity Forest, Sanchez Panaderia y Taqueria specializes in the lamb barbacoa typical of Hidalgo state in Eastern Mexico. The weekend-only restaurant’s signature dish is an herbaceous, tender meat wrapped in maguey leaves. The dish is ordered by the pound and is presented in an ornate chafing dish. Handmade tortillas, garnishes, and salsa accompany the meat. Adventurous eaters can also order pancita -- essentially a Mexican haggis. Whatever you request, arrive early -- Sanchez gets crowded toward lunchtime -- bring cash, and start with a bowl of consommé punctuated with chickpeas and rice. If you get lost while trying to find Sanchez, fret not. 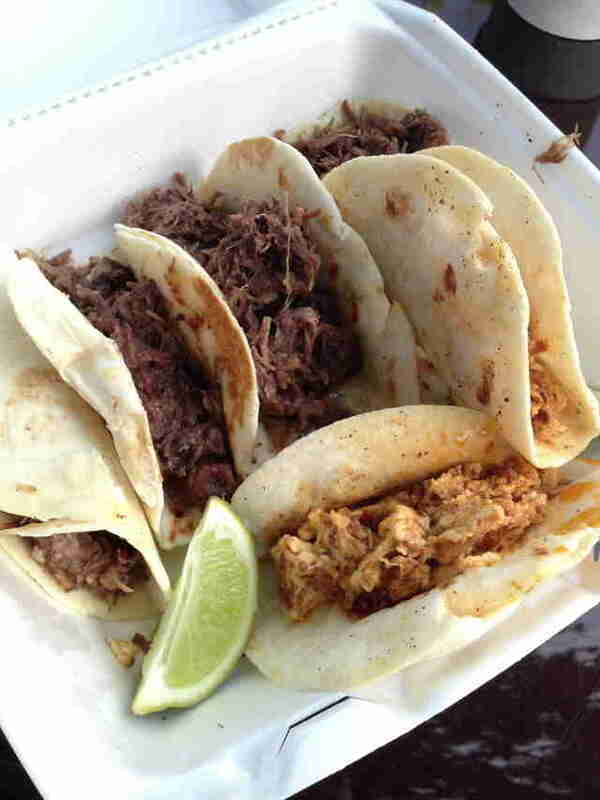 The neighborhood is dotted with barbacoa joints, including Barbacoa Agave #2’s big sister. 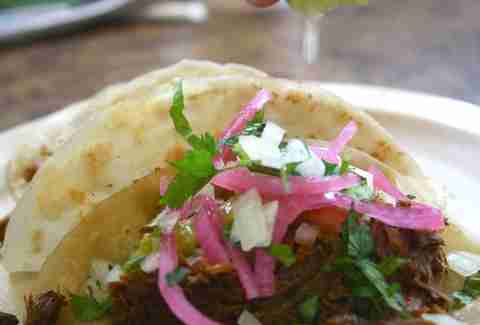 Barbacoa, like tacos or food in general, should be an adventure.